We provide complete end-to-end development and testing solutions for the household and industrial detergent product markets. We can manage one or all aspects of your project. From ideation to market evaluation, product development, testing and claims support to manufacturing and quality assurance. Throughout your entire product chain, we optimise performance and efficiency so you can deliver leading and competitive products to markets on time. 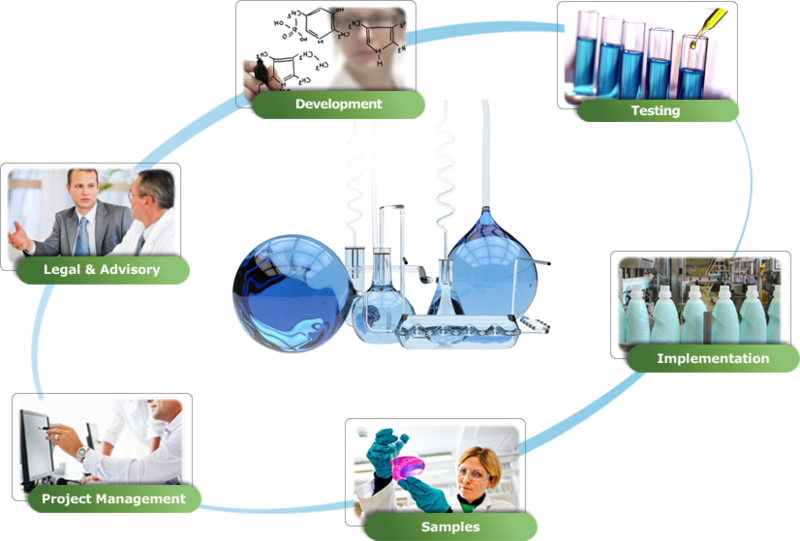 We are a team of progressive thinkers with over 50 years combined academic, practical and consulting experience across detergent development, project management and testing disciplines. The capabilities of our team, led by Dr Peter Richardt are renowned. We have an in-depth knowledge of the industry, its regulations and requirements. Balancing creativity with technical expertise, we find new ways to innovate and improve the market standard. We know what customers want and expect from high performing detergents and cleaning products. That’s why we deliver demand driven innovative solutions that your customers will want to buy. When you work with us, we will ensure your formulation meets the required cost, safety, performance and quality guidelines. We understand the ongoing necessity for product maintenance and margin improvement opportunities. When people think of product performance testing and analysis they generally think about competitive claims and quality. In some cases these aspects of testing are considered solely the area of new product development, but nothing could be farther from the truth.